What a delightfully gorgeous week it was! With so many stunners strutting down in style to make the most impressive fashion outings, one cannot help but ogle at their beautiful pictures. From Kareena Kapoor Khan's airport appearance to Priyanka Chopra's vow to rule the streets of New York, we pick the best of the lot as our best-dressed celebs of the week. Seldom do these names disappoint us with their fashion picks. And usually, their fashion game is on point and enough to rule our hearts. Without gushing further, let's quickly go through the fashionistas of this week cheer for these names from the top of our lungs. Kareena Kapoor Khan's New Magazine Photoshoot Proves All That Glitters IS Gold - View Pics. 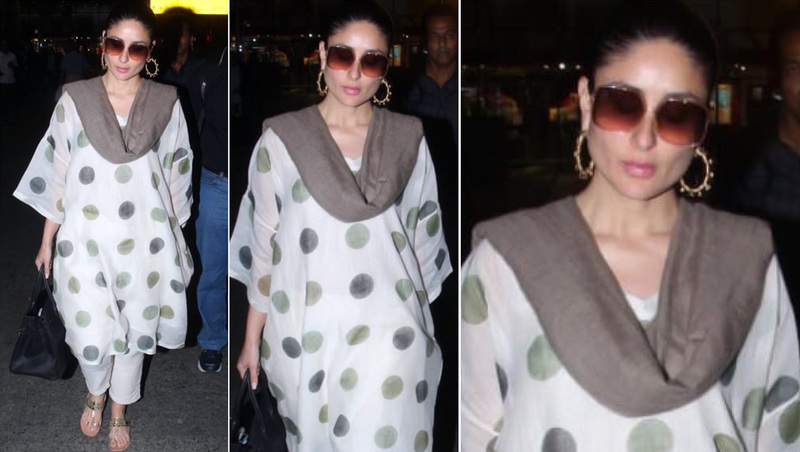 Kareena Kapoor Khan sure likes to have an elegant wardrobe when it comes to her airport appearance. It won't be wrong to say that she converts the runway into a ramp walk and that's one of the many reasons why we adore her to the moon and back. The simple white Good Earth India polka dot dress that she picked for her recent airport appearance is a delight and must-have in your summer wardrobe. Pretty in Pink is how we'd ideally describe Priyanka Chopra's #OOTD. The simple yet chic Tom Ford dress and the ruching effect on it looks marvellous and we are glad she decided to pair it with matching peep-toes. Are Priyanka Chopra And Meghan Markle Still Besties? Here's The Truth About Their Friendship Status! Beauty in black! Anushka Sharma's effortless airport looks is always on our radar and we usually bookmark it for our future references. 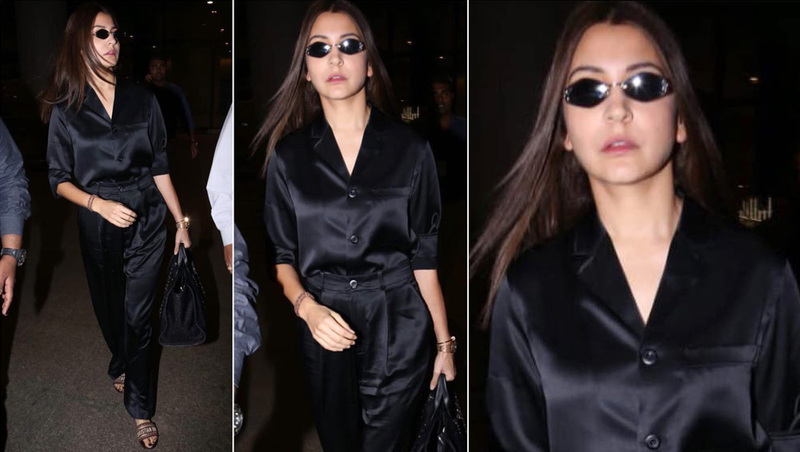 Let the Zero actress teach you how to nail a basic black shirt with trouser look as your airport attire. Sometimes the attires are highly okay and the way you carry them makes it worthwhile. The newbie in Bollywood is definitely striking all the right chords. From Mard Ko Dard Nahi Hota to Patakhaa, Radhika is the new sensation in B-town who's waiting for that one big opportunity to turn her into an overnight star. And trust us, the day is not really far. Meanwhile, we are loving her fashion picks for red carpet events or promotional outings. The recent silver Dolly J gown at Zee Cine Awards was perfect for the soiree and oh-so-gorgeous.